The last two years this has proved close to impossible! So this year I've started trying to work this out in November! We will see how we go this year, I started off the year making some notes - so hopefully this will be easier... Somehow I doubt it! I've tried beers from 36 different countries this year and somehow they've come together to create this Golden Pints post. I've met heaps of great beer people and can't wait to do it all again next year! 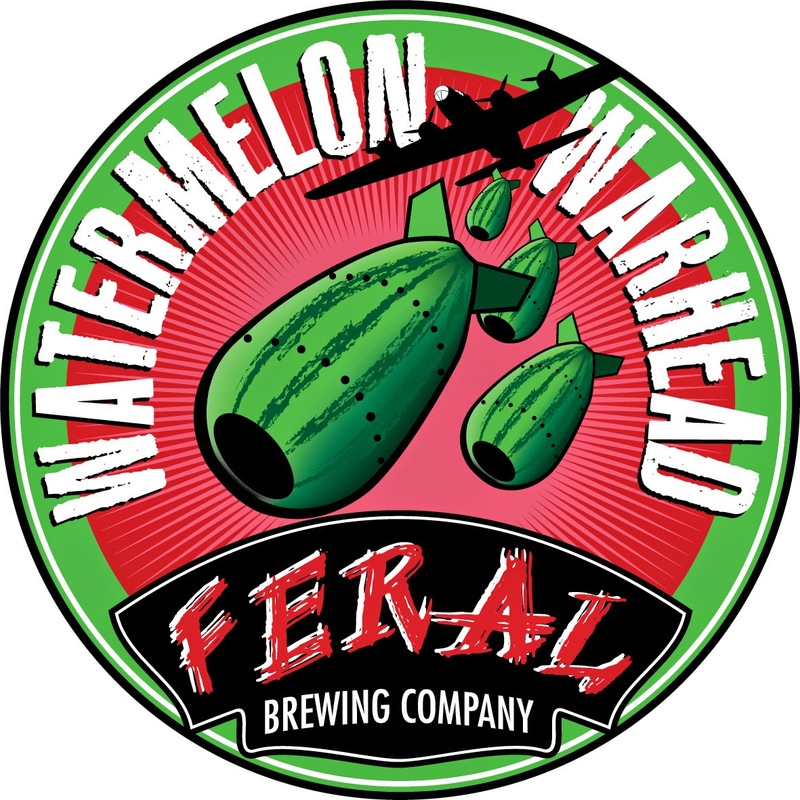 Best Australian Draught Beer - Feral Watermelon Warhead. I go out of my way to get this everytime I hear it's on somewhere. It's a watermelon infused Berliner Weiss and clocks in at under 3% ABV! Odd for me I know! Anyway it's possibly the most refreshing beer in Australia and I love it! The sheer volume of Stone & Wood Pacific Ale I drank this year earns it a deserved runners up placing. Best Australian Bottled or Canned Beer - 3 Ravens The Druid. This beer was a clear standout for me this year. Few Australian brewers experiment with the bigger Belgian Abbey style and even fewer try a Quadrupel. Adrian McNulty at 3 Ravens has and for good measure he aged the whole thing in Perdro Ximenez barrels! It's a cracking beer and you will see a review of another bottle of it early in the New Year. Best Cask Beer - Mornington Brown! I've had this a couple of times throughout the year on the handpump. The memory that sticks most in my mind is getting absolutely trashed on pints of the Mornington Brown at The Great Northern in Carlton. It was a great night and a great beer! Check out the full review here. Best Overseas Bottled or Canned Beer - Sixpoint Resin. 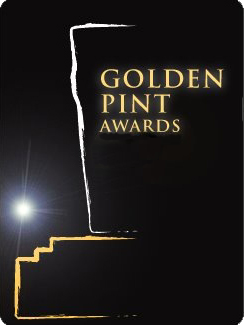 This is the Golden Pint award that I agonized over the most! I've had so many wonderful beers this year that it was almost impossible to choose. In the end I had to go with this brilliant canned IPA from New York that I drink all the time. Check out the review from back in January here. Best Collaboration Beer - Moon Dog/Garage Project Chocolate Salty Balls. This years collaboration beer front was surprisingly small. I ended up settling on this salty stout from two of the most innovative brewers out there. Moon Dog is the closest brewery to work and are probably the most out there was the Australian breweries while Garage Project fit that bill for New Zealand! The collaboration was weird and brilliant in equal measures. Best Overall Beer - Feral Tusk. Tusk Day has become quite a big thing now. Feral Tusk is an Imperial IPA released twice a year at a designated time as close to simultaneously as possible at various craft beer bars around the country. The beer is a delicious; it's like Hop Hog on steroids! If you love your IPA's check this one out next April when it should be released again. Best Australian Brewery - Mornington. Considering Feral have featured 3 times already in this post it would seem almost unfeasible for me to mention any other brewery, however the boys down at Mornington literally can do no wrong! If you haven't tried their beers you need to! Their brewery is also a great spot to have some beers and a pizza on a weekend afternoon. Best Overseas Brewery - Garage Project. I've already mentioned these guys above but they are worthy recipients of this Golden Pint award. The brewery is 3 years old and going from strength to strength. I love how they present their beers, whether it be an elaborate label like Death from Above (see last years Golden Pints) or something simple like their "BEER" or Hop Trial range. If you haven't had beers from these guys seek them out - they are definitely worth the price. Best New Brewery Opening 2014 - Exit Brewing. These guys brew down at Cavalier and burst onto the scene with something a bit different; a Saison. It was a gutsy call to open with such a polarizing style but they did it well and have followed up with 3 other excellent brews, a Scotch Ale, a Milk Stout and an IPA. I can't wait to see what the fifth offering from these guys will be! Pub/Bar of the Year - The Terminus Hotel. It's far and away my favourite craft beer venue! I can't believe it hasn't won my pub of the year award before! The craft bar menu has all your favourite pub food as well as a modern Vietnamese section; the Banh Mini's with pulled pork and sriracha mayo are one of the best things I can think of to have with beer. I love The Terminus! 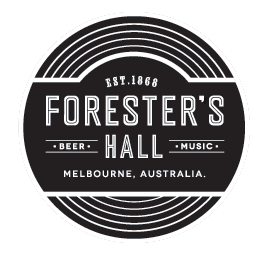 Best New Pub/Bar Opening 2014 - Foresters Beer Hall. 50 Taps. 32 different beers. Open til at least 2am everynight (4am on weekends). It's the venue Collingwood, and indeed Melbourne, needed. They also make really awesome pizza's which you can also get to takeaway. All craft beer lovers need to make the journey to Foresters. Best City for Beer in Australia - Melbourne. This answer will never change! We've got Australia's biggest and best beer Festival (see below). We've got the best craft beer bars and bottle shops; to go with most of the best breweries in Australia. Melbourne is THE craft beer lovers dream city! Beer Festival of the Year - GABS. Over a 100 beers brewed exclusively for the event = me being very very drunk! It's one the award everytime I've done a Golden Pints, I'm thinking of retiring the award if other beer festivals don't start lifting their games! Check out my review of the best beers at this year's GABS here. Supermarket of the Year - Dan Murphy's. Dan's are getting the nod because of their (semi-successful) growler setup. I think it's a great thing for craft beer in this country if they can get a growler culture off the ground. They also do stock a number of craft beers that are hard to get from Australia and overseas. Independent Retailer of the Year - Tru Bru. What else could I have possibly chosen?!?! Tru Bru has revolutionized the way Melbourne drinks beer. Tru Bru is Australia's first growler only store and is a must visit for all beer lovers. Tru Bru's Bear Club is the best beer club I know of in Australia; it's so good it's spawned it's own segment of Beer O'Clock Australia! Online Retailer of the Year - The Beer Store. I ordered off these guys a couple of times this year. They are based in New Zealand and you get some of the Kiwi stuff that doesn't normally get exported from them as well as a number of International offerings that are their own imports. The glassware range is another real plus! Best Beer Blog or Website - Brewsaga. I thought long and hard about this one and ended up settling on Brewsaga. The blog started in April and it's been pretty cool watching it evolve since I found it not long after GABS. The beers that he reviews are almost always things I've just tried or want to try and it's laid out really well. Also good to see more Spiegelau IPA & Stout glasses out there! Best Beer App - Untappd. I tried an app called Beer Vault, for keeping track of what's if your fridge/cellar. It was alright but had far too many issues/downtime to be useful long term. Untappd is just perfect! It records everything I've drunk, which is probably incriminating, and helps me keep connected with the rest of the beer drinking community. If you love beer get Untappd! 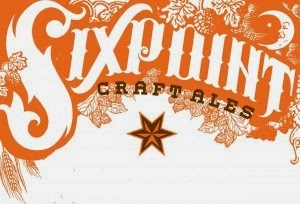 Best Online Brewery Presence - Sixpoint. I thought long and hard about this award. Feral's #shortshortfriday almost got them across the line, for the second year in a row, but in the end I had to go with Sixpoint. The New York brewery almost always comments on my Untappd check-ins, make damn good beers and their Facebook photo's are always really cool. Food and Beer Pairing of the Year - Nail Oatmeal Stout and Crozier Blue Cheese. Who'd have thought that a blue cheese from Ireland and an Oatmeal Stout from Western Australia would pair so well? 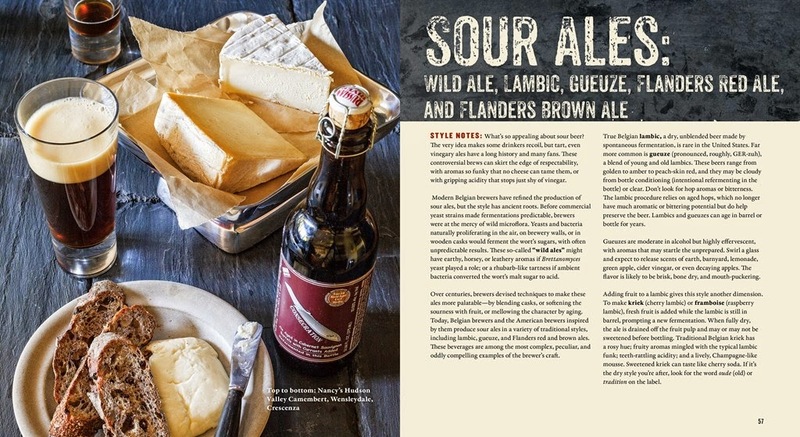 I'm a huge fan of beer and cheese as a combo - but this one blew me away! I had this, for the first time, at Milk the Cow on Acland Street. They've now opened a second location, on Lygon St, and are certainly worth a visit if you like cheese! Just like the last two years this has proved close to an impossible exercise! I've done the best I can and have made my New Year's resolution to take notes for the 2015 Golden Pints from January 1 so I don't have to go through this again next year! Cheers to all the great beer people I met this year - I hope you all had as good of a year as I did!